Home / Trading / Trading Advice / Where Should You Buy Electronic Arts Stock Now? 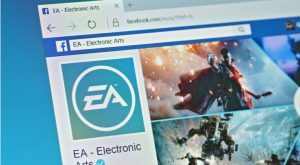 Where Should You Buy Electronic Arts Stock Now? After a recent hit-and-run incident on the price in Electronic Arts (NASDAQ:EA), traders now find themselves entering a bullish phase in EA stock … Let me explain. It’s been three weeks since a weak-sounding quarterly confessional sent Electronic Arts shares plummeting more than 13%, testing two-year lows set in late December. For EA stock investors, who balked at Wall Street’s dramatic reaction, the strategy quickly paid off. Shares gained more than 17% within two sessions and eclipsed EA stock’s pre-earnings close. Behind the swift retraction, a surprise report confirmed Electronic Art’s free-to-play Apex Legends game saw more than 10 million participants play the title within 72 hours of its launch. The initial success is seen as a legitimate shot over the bow to 2018’s Fortnite phenomena from privately held Epic Games, which took nearly two weeks to secure the same player traction. After this much-needed retreat on the EA stock battlefield, it’s “game on” for Electronic Arts investors. Click to Enlarge After storming aggressively to four-month highs in just a handful of sessions on the heels of the Apex Legends news; shares of Electronic Arts are now in a position to be purchased. EA has worked off an overbought condition with a solid-looking five-day pullback pattern that found support off prior resistance and the 50% retracement level. In Tuesday’s session, the constructive decline found price confirmation, as EA shares rallied above the high of the simple pullback’s double doji bottom on heavier volume. That’s a signal bulls on the sidelines can use to their advantage. For like-minded buyers of Electronic Arts, I’d suggest any purchases of EA stock still be defended with a money stop at $92.35. That’s just below the pattern low and works out to about 6.25% of exposure. Bottom-line, the use of this exit, if required, makes it smart and effective on a couple of levels for risk-averse investors. For those bullish EA stock investors who desire stronger protection, a modified collar should be considered. One such favored spread is to buy Electronic Arts shares, sell the April $115 call and purchase the April $95/$80 put spread for $100.60 and a premium of $2.10 to Tuesday’s closing price of $98.50. Investment accounts under Christopher Tyler’s management do not currently own positions in any securities mentioned in this article. The information offered is based upon Christopher Tyler’s observations and strictly intended for educational purposes only; the use of which is the responsibility of the individual. For additional options-based strategies, related musings or to ask a question, you can find and follow Chris on Twitter @Options_CAT and StockTwits. Article printed from InvestorPlace Media, https://investorplace.com/2019/02/electronic-arts-ea-stock-game-on-bulls/.